Nothing takes the chill out of your bones after a long ride or doing barn chores like a mug of hot chocolate. These recipes are spiked with alcohol but if you omit the booze, you can make them kid friendly too! 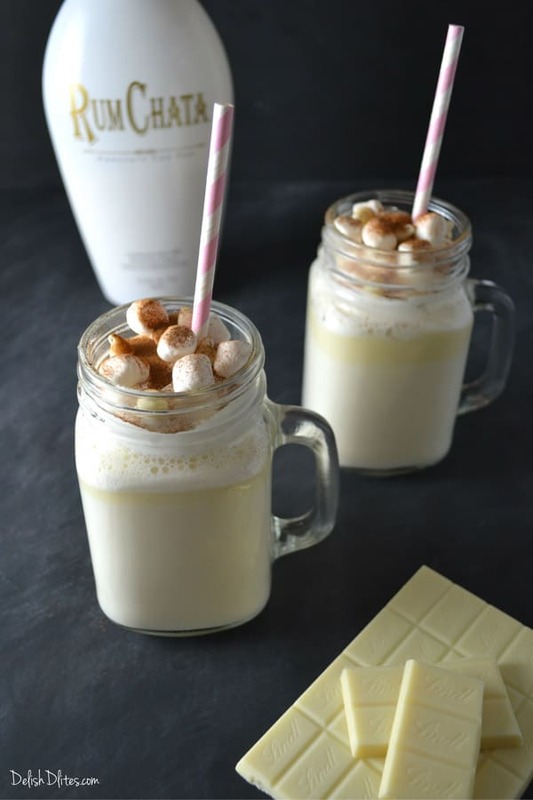 RumChata White Hot Chocolate is made with delicious white chocolate and RumChata liqueur. Serve it with plenty of marshmallows and cinnamon. Recipe and photo by Delish D’lites.